Nest recently announced a new discount has launched for customers looking to purchase the company's Nest Learning Thermostat, allowing them to buy the IoT temperature-controlling device for $219 on its website, totaling $30 in savings. Nest founder and chief product officer Matt Rogers announced the temporary deal in a blog post this week, which he said is tied into upcoming celebrations surrounding Earth Day. As such, Nest Learning Thermostat's $219 price tag will only remain available to customers until Earth Day, on Saturday, April 22. In the post, Rogers mentioned that since the Nest Learning Thermostat's launch in 2011, the device has "saved over 12 billion kWh of energy," which equates to "enough to power New York City for 81 days." For us, home isn’t just an address where we raise our families. It’s the world we inhabit, and it’s our only one. As the late Carl Sagan noted in his book Pale Blue Dot, “On it everyone you love, everyone you know, everyone you ever heard of, every human being who ever was, lived out their lives." So it’s up to us to take care of Earth, for all the generations to come. In honor of Earth Day, we want to help more people save energy with a Nest Thermostat. Reversing decades of global warming is a huge challenge. But we believe that together, we can change climate change. Customers also interested in Google Home have a chance to save a little more as well, as Nest also announced a combo deal where purchasing both the Nest Learning Thermostat and Google Home at the same time will earn users $50 in savings. Instead of paying $378 for both devices, customers taking advantage of the Earth Day deal will pay $328. On their own, Google Home costs $129 while Nest Learning Thermostat costs $249. For those unaware, Google Home is Google's smart home hub, which includes voice controls for numerous home automation tasks like controlling temperature by connecting to Nest. Last month it was rumored that Nest is working on a cheaper version of its Learning Thermostat that would cost somewhere under $200 in a bid to gain "a bigger share of the connected home market." Cost-cutting measures might include a Nest Learning Thermostat made with less expensive components and potentially one that would lack the current version's metal edges. Also reported to be in the works by Nest are sensors that would let users control temperature room-by-room, an alarm system, digital doorbell, and updated indoor camera. Had nest for while. Started acting odder and odder. Moved to ecobee 3 over year or so. Utility bill has been lower since. Also have to not make adjustments to it at all after getting schedule down. With my nest I had to keep adjust the schedule because kept not feeling right. The room sensors have helped steady the temp by averaging out rooms and keeping busy room at temp we like. 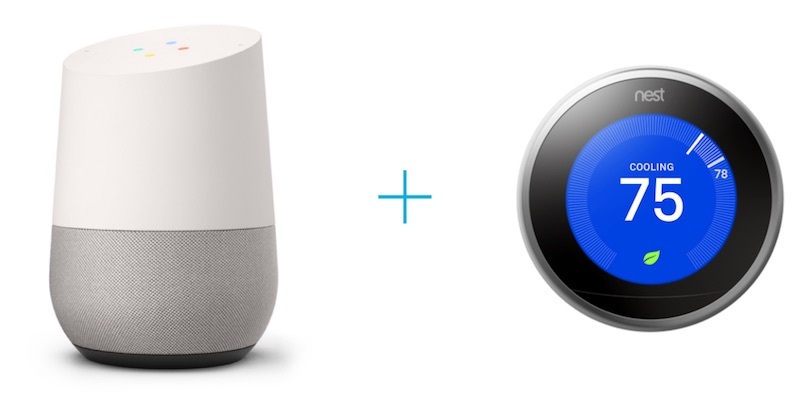 I'm wondering if I could buy them both for the larger discount and then return the unopened Google Home? Your local utility company may offer an additional discount. Right now, my electric company is selling the Nest for $119, and the Ecobee for $100. Check out Ecobee 3. The interface isn't as slick as Nest, but it's smarter than the Nest IMO. It comes with one sensor which you can monitor another room separate from your thermostat. It also supports HomeKit.